I wanted to do a full picture of who is funding this shadowy online group, but as the best laid plans never work out, here’s what you get: a twenty minute summary. First, you need to read this first: who they are, what are their tactics, etc. Everything here is from these filings, made public by Canadaland. You’ll notice that I didn’t look at the individual donors. That is perhaps the next step. 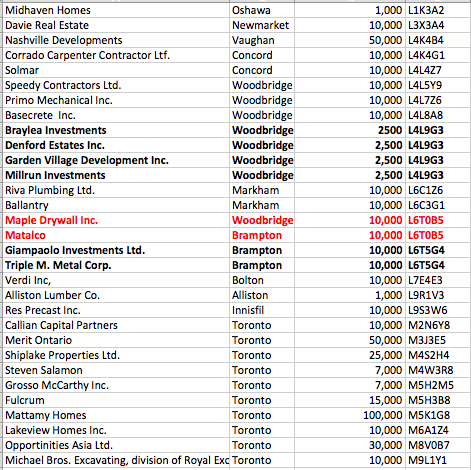 We know that Ontario Proud is funded mostly by developers, but what’s fascinating is how clustered their donors are. Here’s the list sorted in alphabetical order. 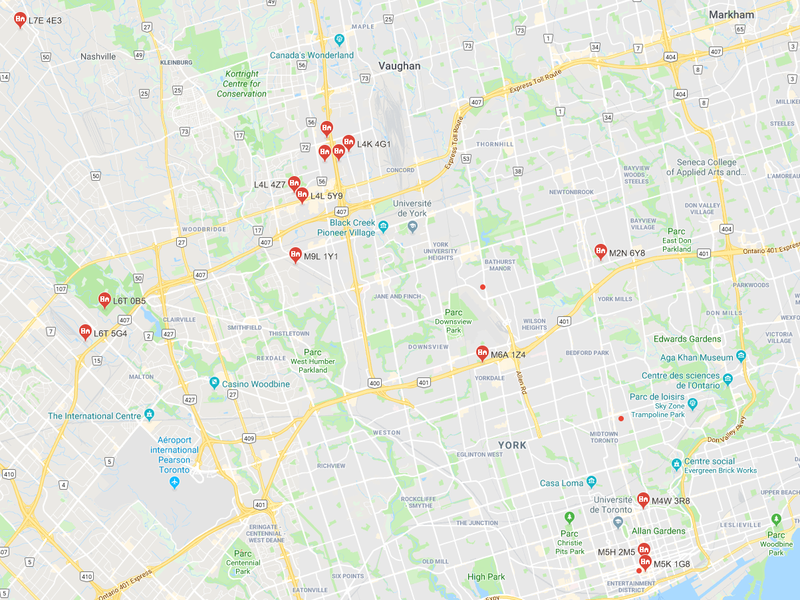 Woodbridge, North Toronto, Bay Street and Brampton — these are the centres funding Ontario Proud. Brampton is interesting for a lot of reasons, and unsurprising, if you watch news about workplace health and safety. 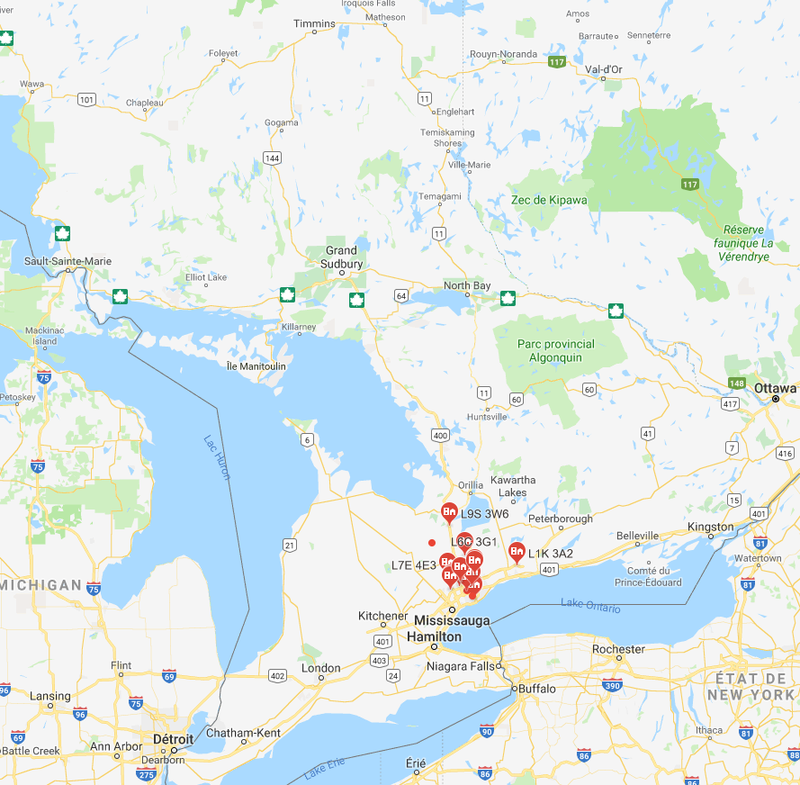 I wrote this at the start of 2018: Brampton, the deadliest place to work in Ontario. Ontario Proud’s big support is in a tiny part of the GTA — nothing further west than Brampton, east than Oshawa and north than Innisfil. The two in red seem to be an error — but that’s how it’s written in the documents. 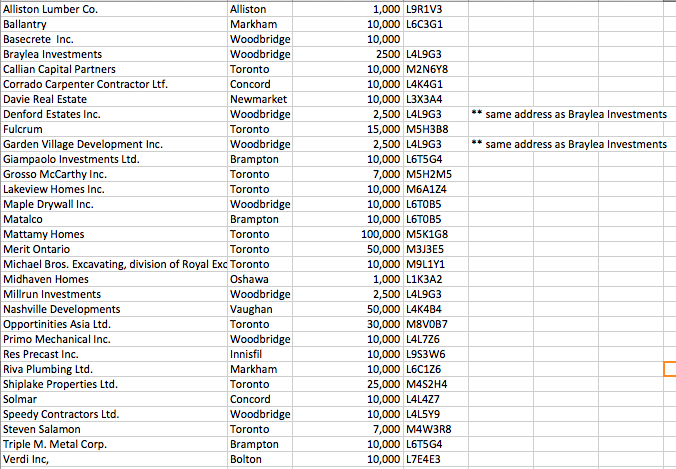 The four addresses in Woodbridge also have the same address as Royal Pine Homes, another developer. Triple M. Metal Corp (who is part of the Giampaolo group) has been twice nailed with lax health and safety that has injured two workers. Also on the list is Merit Canada, Canada’s primary anti-union advocacy group. They have been aggressively targeting labour laws and it’s no surprise to see them on this list, among the most generous donors. As Ontario Proud pretends to care about “the many” and as so many of its page’s fans rail against “elites” like Liberal politicians or effeminate men, it’s a good reminder that none of their content is popular. None of it comes from average people. It comes from men who stand to make ridiculous money off of Doug Ford and his policies. It’s concentrated, isolated and powerful. Together, these groups raised $500,000 in a year (the organization that I work for, with nearly 200 members, only brings in about 1/5 of that). Writer and activist in Quebec City. Happy socialist but angry soccer player. Canadian Freelance Union — Unifor executive member.